"I work with Custom Metal Coating on many of my projects, which has had a very positive impact on my business. When looking for a powder coating company, my main focus was the quality of the work. CMC has met and exceeded all of my expectations in this area, their work is simply flawless. Timelines are another important factor for me, and Jeff has gone above and beyond to help me meet some very tight deadlines. I look forward to working with them on many future projects!" 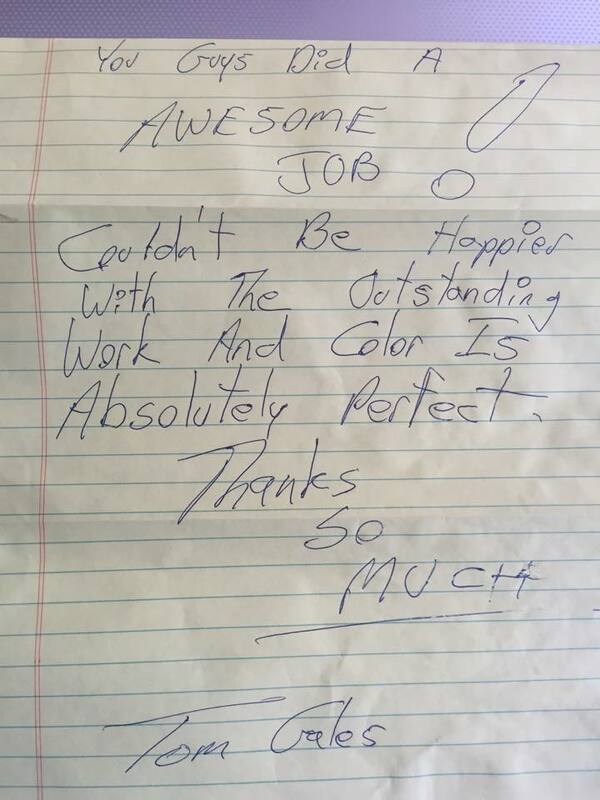 "As a customer of Custom Metal Coatings for more than 15 years, Jeff and the staff have always provided great service. The work is not only done on time it is done right!" "CMC has always done high quality work with very personalized service! CMC is second to none!" "Mach 1 Chassis and J&B Sprints use Custom Metal Coatings for all of our powder coating needs. We are very pleased with the response and service we get from owner Jeff Furlong. The quality of the work is exceptional. I have even personally used Custom Metal Coatings for many things at my own home, including a several fire pits, four wheeler parts, patio furniture, etc. I would highly recommend Custom Metal Coatings to anyone in need of powder coating." "I've been dealing with Custom Metal Coatings since 1999. Whether it was a racecar part, equipment, or tool, the quality of the powder coating has been excellent. The price cannot be beat and the service has been outstanding! I would never go anywhere else." "CMC has a great working relationship with my business. The quality is great and always gets our products back to us very quick!"